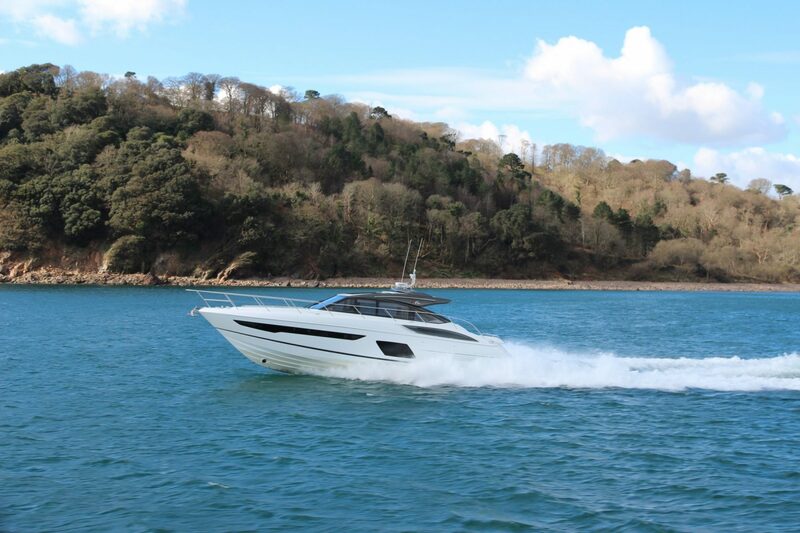 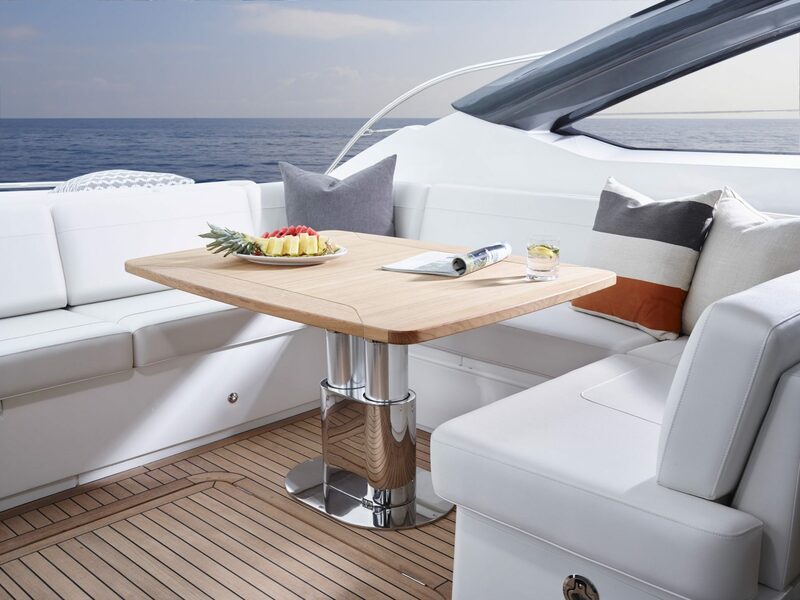 The epitomy of style, the V58 is the next generation of Princess high-performance V Class sports yachts. 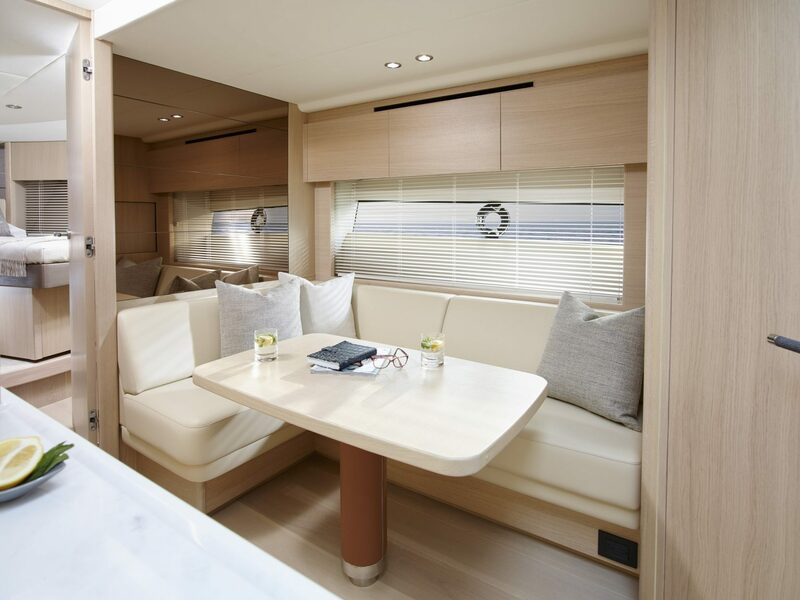 Made for outdoor living yet with ultra-spacious interior, the V58 Open combines superior quality with peerless performance. 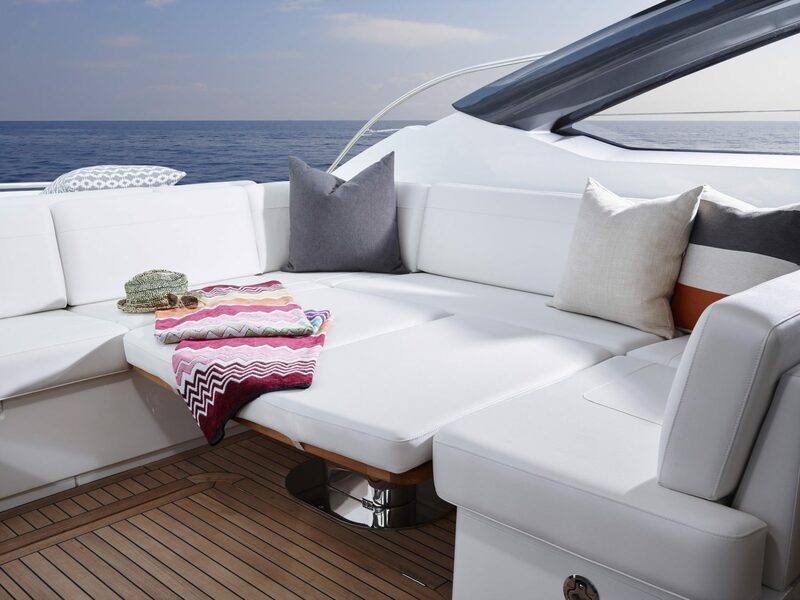 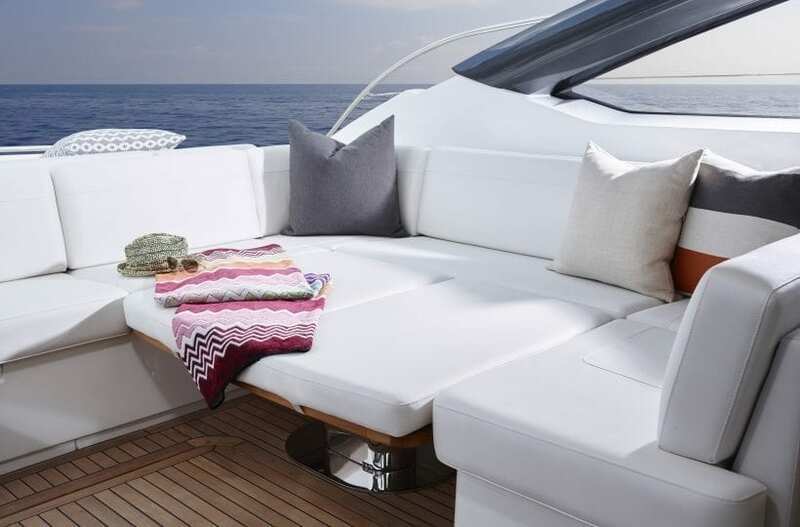 The latest addition to the V Class range, the dynamic new Princess V58, is available in two versions – Open or Deck Saloon. 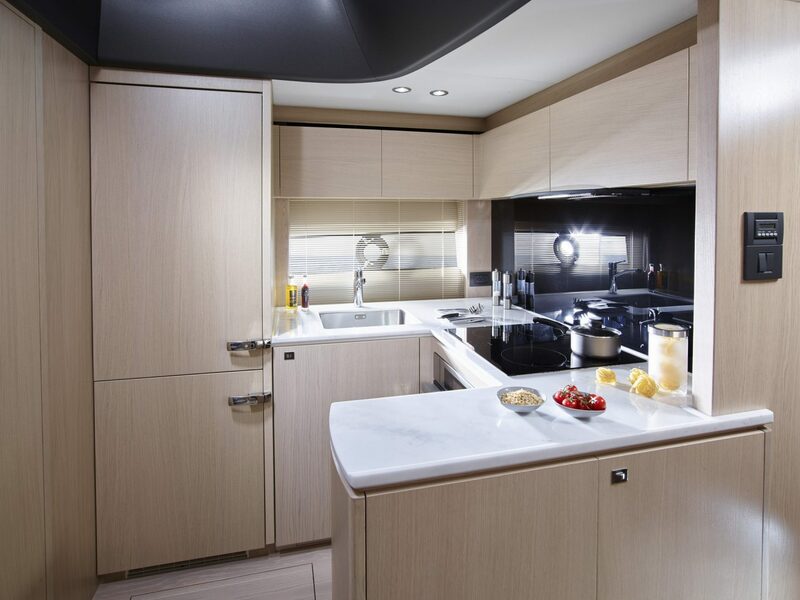 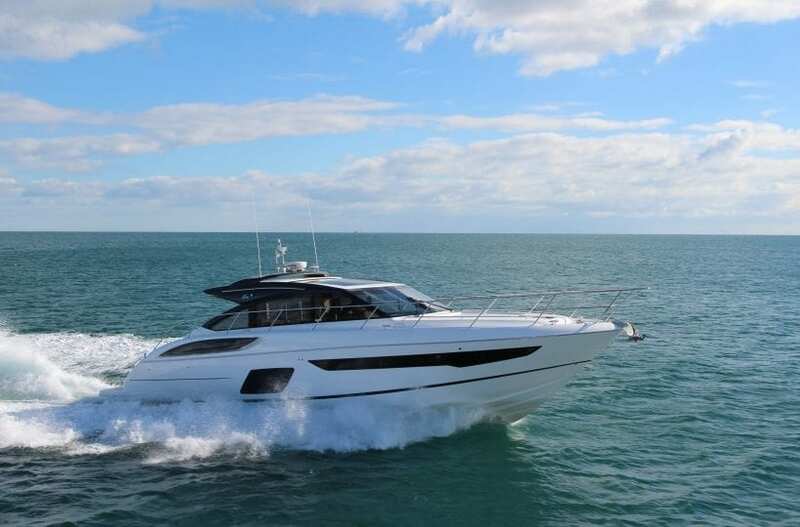 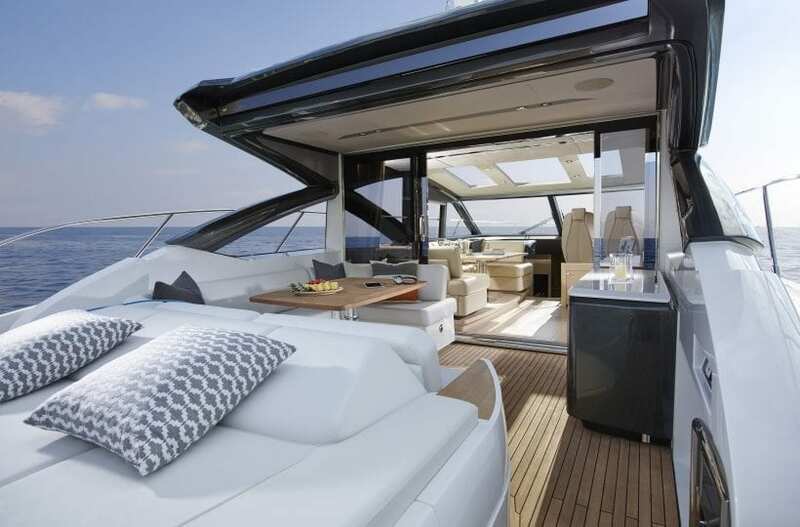 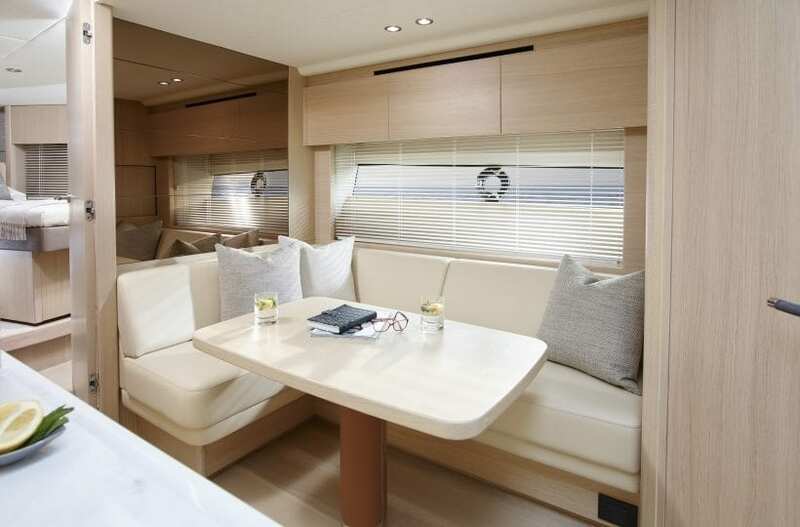 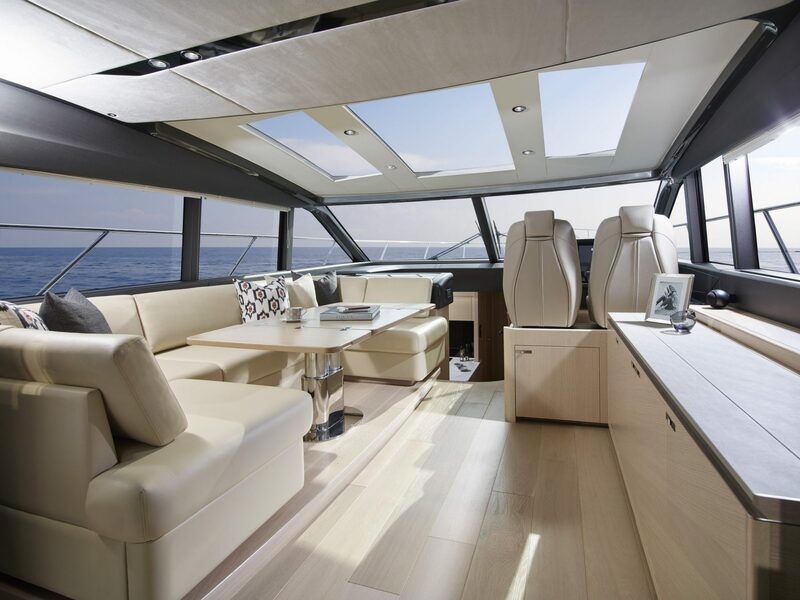 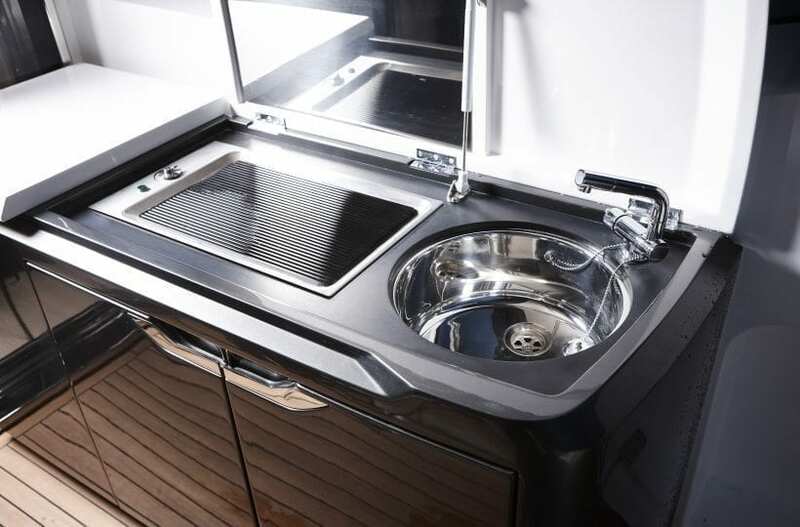 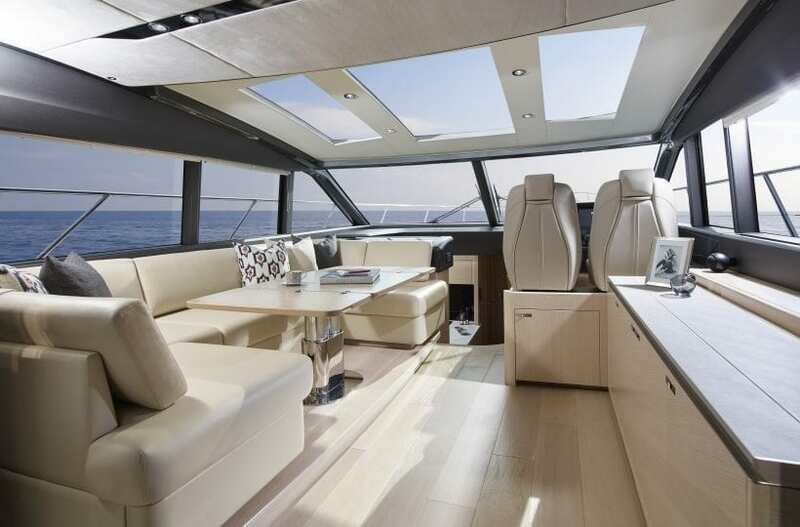 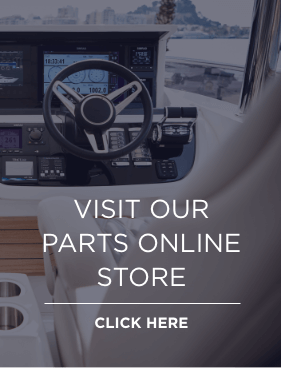 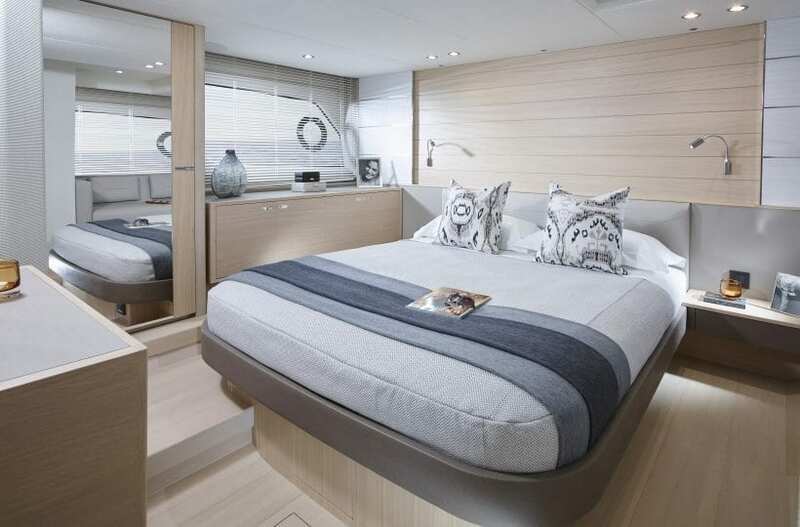 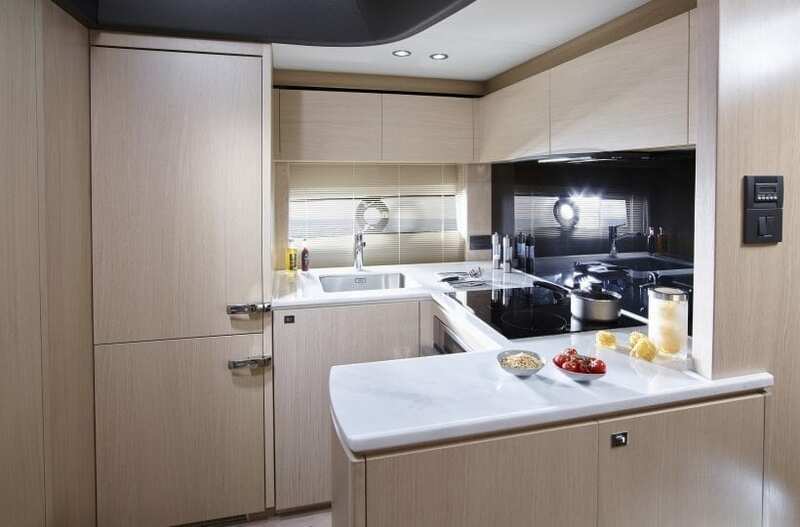 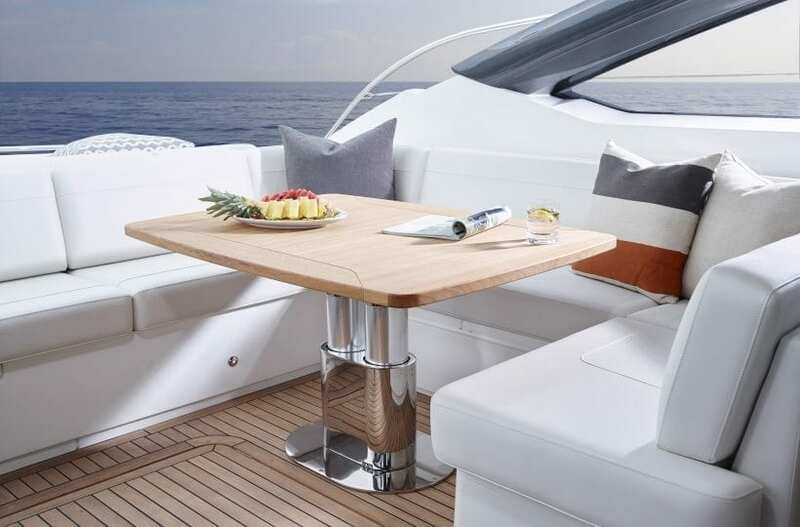 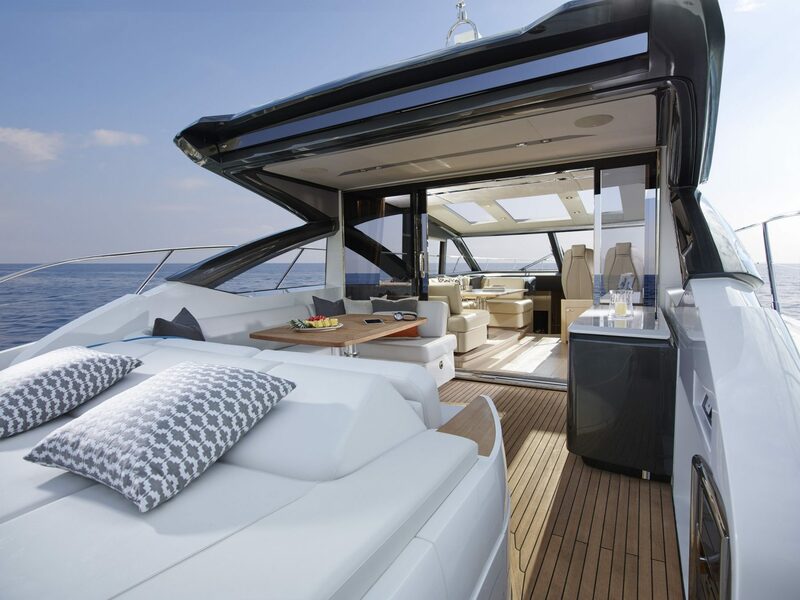 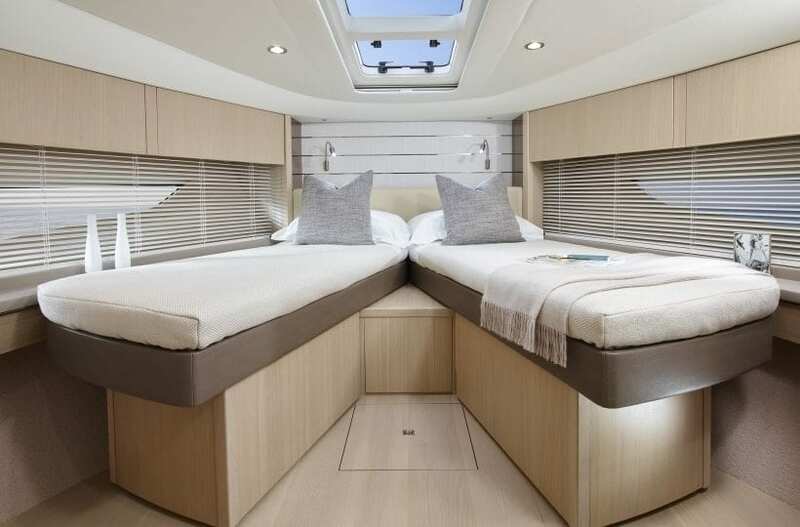 The open model with a full-length cockpit and sunroof is perfect for cruising the Med, whilst the flexible enclosed deck model can be climate controlled or opened to the elements via triple sliding aft doors and a retractable sunroof. 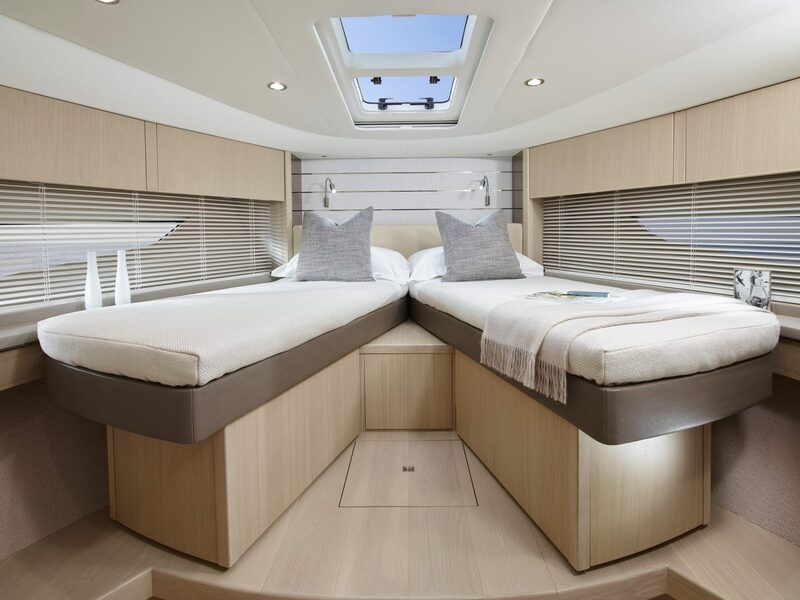 Her large, dynamic hull windows let light pour into the beautifully appointed lower accommodation. 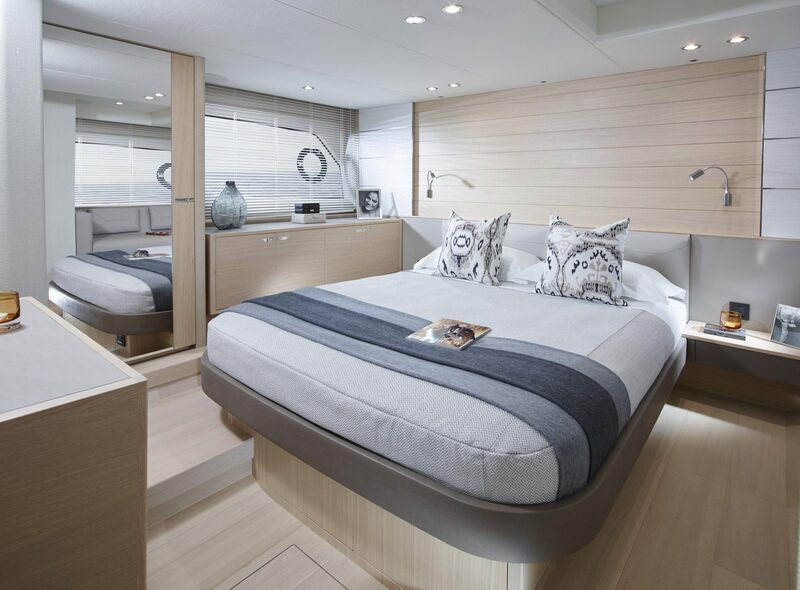 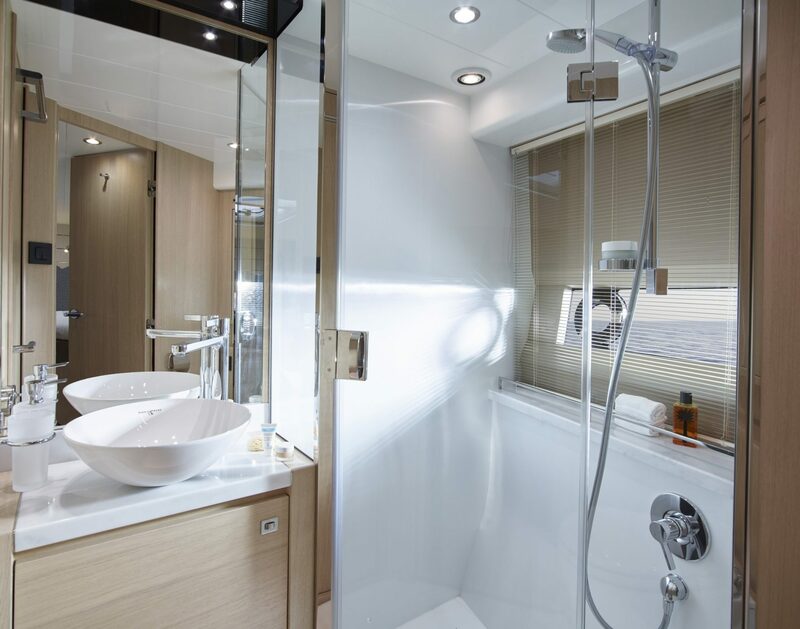 With three guest cabins, two of which enjoy an en suite, and the option to specify an extra cabin aft – she’s an altogether striking craft.